Ugly Boss Records is a Nigerian record Label founded by Pato Lee, The record label which is to be an instant sensation has finally released it’s first official Fiesta, Which they use kick starts the year. After the successful signing of Smart Prinzy, MoGrace da rap Queen, Soft Work, Bobby Dazzler, Yung Surf, and Ever Young which brought attention, buzzing and making waves on the Nsugbe Town, Anambra State. The Label has gone to the drawing board and due to their love for the people In the street. 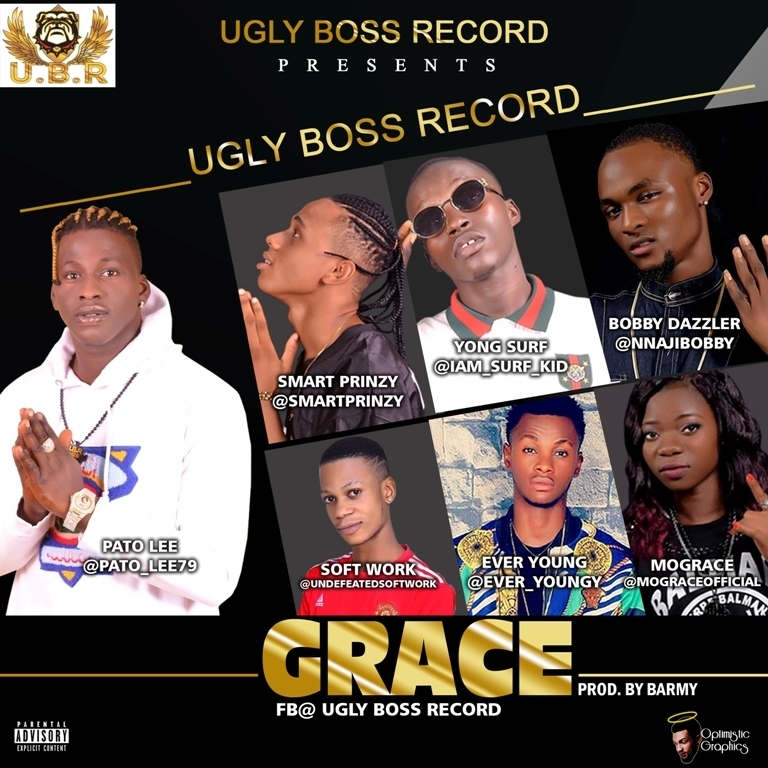 Ugly Boss Record records releases it’s first official record titled “Grace” featuring all the label Superstars. Grace is sure a banger you will put on repeat as it’s going to be the official theme song for the event U.B.R Fiesta 1.0 at Nsugbe Town. Listen, Download Ugly Boss Record Grace Below. what do you think about this collaboration with UBR Superstars? Your thought is needed via comment box.